Who needs a Tourist Schengen Visa When Traveling to Europe for Tourism? Non-European citizens willing to travel to Europe for tourism purpose might be required to apply for a short-term Schengen visa under “tourist” specification. You need to apply for a Schengen Tourist Visa if your nationality is on the list of countries whose nationals need a Schengen short-stay visa. Where to Submit the Tourist Schengen Visa Application? You will have to lodge your Tourist Schengen Visa application at the embassy / consulate / visa center of your main destination in the Schengen Area. When visiting only one Schengen state, submit your application at the embassy / consulate / visa center of that country. In which you will step in first, since you plan to spend an equal amount of days in each. Pay attention to how the authorities of your main destination have regulated visa submission in your country. In bigger countries, visa submission is regulated through jurisdictions. Make sure to apply at the embassy, consulate or visa center of your destination country, under the jurisdiction of which the area where you live falls. How to Apply for a Tourist Schengen Visa? Make sure you qualify for a Tourist Schengen Visa. Due to the fact that there are a several Schengen visa types, you must make sure that the visa you need is this one. Find out where you need to apply. Figure out the best time to lodge your tourist visa application. 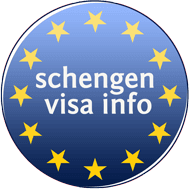 Collect the required documents for a Tourist Schengen Visa. Make an appointment at the embassy of your destination country. You may have to make this appointment online or in-person at the embassy / consulate / visa center. Pay the tourist visa fee. Wait for a response on your visa application. When to Apply for a Tourist Schengen Visa? Submit your Tourist Schengen Visa application at least 15 calendar days prior to your planned journey to the Schengen Area. This is the latest you can file your application. On the other hand, the earliest you can apply for a Tourist visa to the Schengen Zone, is three months before your trip. How long does it take to receive the visa? It is advisable to apply for a Schengen Tourist Visa at least 2 weeks prior to the planned trip. The Embassy Consulate will then reply in 10 working days as common (or less as usually occurs), the time taken to proceed all the documentation and the travelers request. Depending on the situation, proceeding time might take up to two months if there is something extraordinary with the individual case or any unusual political situation is on the go. Tourist visa is commonly valid for stays no more than 90 days. If you will be traveling a lot and not only in one Schengen country it’s recommendable to fill in the “multiple entry” gap in the application form. This way you will be able to enter and leave Schengen Zone as you please for the amount of time allowed on your visa issued. Can I extend a Tourist Schengen Visa? However, remember that the chances to extend your Schengen visa are very low. In order to get a tourist visa extension for any of the reasons given above, your application needs very strong arguments.